What Animal Is This Supposed To Be? 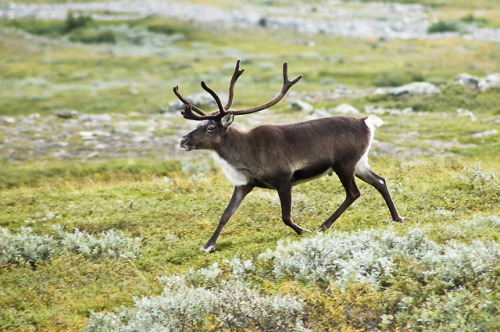 Caribou (top) live in North America, and reindeer (bottom) live in Europe and Siberia. Taxonomists initially classified them as two distinct species due to their morphological differences. Today, we know they are really the same species. 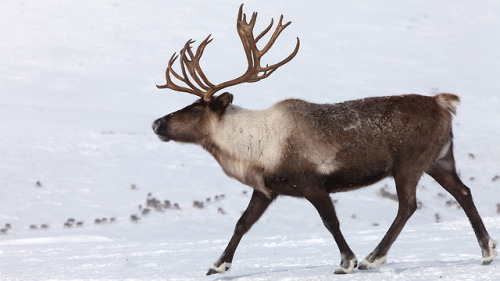 During the last ice age, the ancestor of modern caribou could have walked between Eurasia and North America. But when the glaciers melted, and the land bridges ended up underwater, the species got separated between the two continents that emerged.